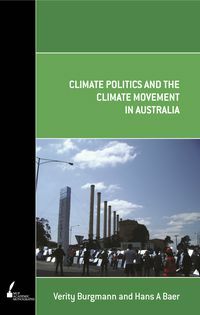 Hans A Baer, an anthropologist and development studies specialist at the University of Melbourne, has published 18 books and some 170 book chapters and journal articles on a variety of topics, including Mormonism, African American religion, socio-political life in East Germany, critical medical anthropology, and the Australian climate movement. He is the co-author, along with Merrill Singer, of Global Warming and the Political Ecology of Health (2009). Baer also authored Global Capitalism and Climate Change (2012).